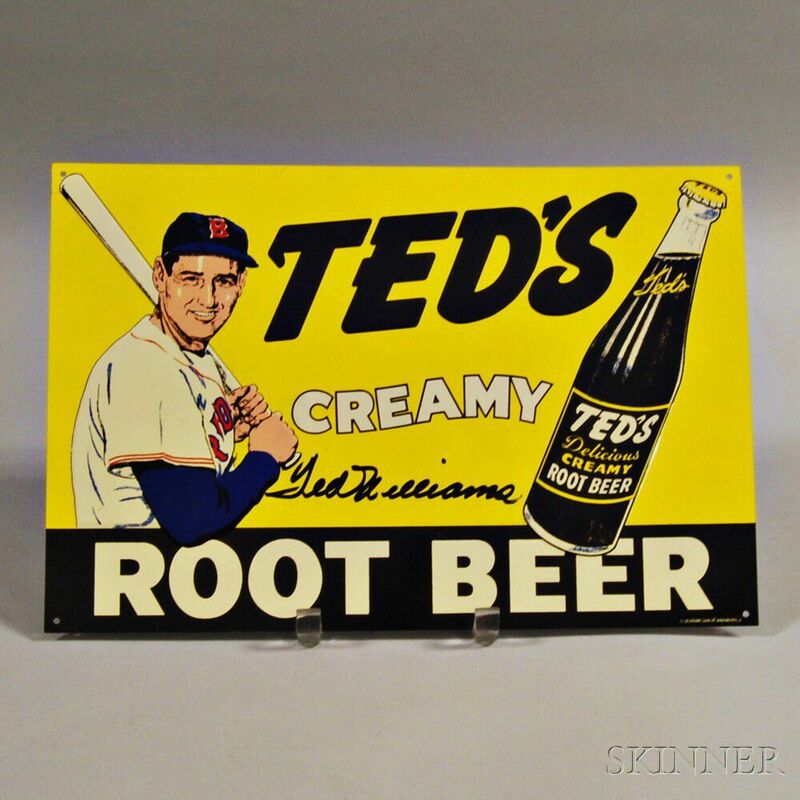 Reproduction Ted's Creamy Root Beer Lithographed Sign, late 20th century, with Ted Williams and a bottle of root beer on the front, ht. 10, wd. 15 in.